Get temporary and emergency water management, or evaluate system effectiveness. Many of our water management systems are available for demonstrations, pilots and trials, and some of our equipment is available to rent. A Hydro International wastewater, stormwater or industrial water management system is an investment in exceptional water treatment or flow control, but we understand that you need to be confident in our technology before you commit to a purchase. We will be happy to work with you to set up a demonstration, pilot or trial system to prove to your satisfaction that our technology will meet your needs. Piloting Hydro International equipment at your facility can demonstrate the equipment's ability to handle your unique operating conditions, at your site, on your flows. We stand by our performance claims and can offer a number of pilot equipment options to demonstrate that our systems will work for your application. Please contact your local representative to see if piloting is right for your project. 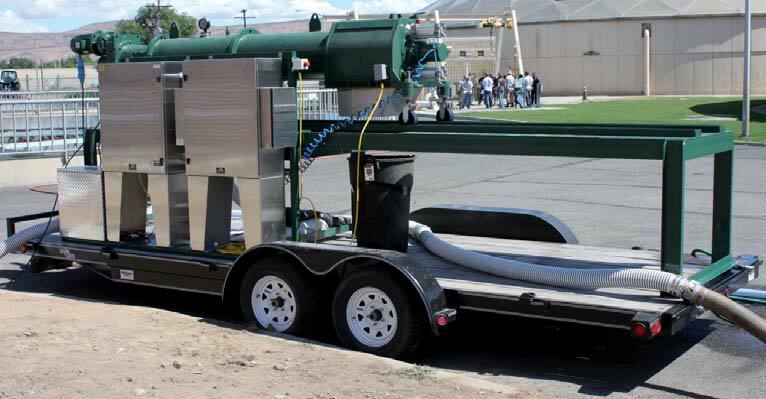 The Hydro-Sludge® Screen is a superior sludge screening solution for municipal and industrial applications, and is the only horizontal inline screen to accept 9% dry solids. The Hydro MicroScreen™ is a low-energy, small-footprint rotating belt screen that delivers exceptional solids removal from process water and wastewater. Renting equipment can ensure vital continuous process availability when installed plant breaks down, and also enables temporary operation to be arranged during a planned outage. We offer a range of equipment for hire, including skid-mounted solutions that can be delivered quickly to site, to enable you to manage planned and unexpected shortfalls in capability. Please contact your local representative to find out whether we have a rental solution for you. The compactness and versatility of the Hydro-Sludge® Screen makes this system a particularly effective solution for temporary sludge screening at wastewater treatment plants and industrial facilities. The small footprint and low energy requirements of the Hydro MicroScreen™ make it ideal for temporary or emergency wastewater or industrial process water screening. A number of our water management systems are available to rent. If you need temporary or emergency water treatment please contact us to discuss your requirements. We may be able to set up a demo, pilot or trial system at your facility for you to evaluate our solutions. Please contact us to discuss your requirements.